Beautiful and comfortable, Holiday INN Paradise is a perfect and affordable place to spend your time in Chandigarh. The reception gives you a nice and warm welcome as you enter the hotel. 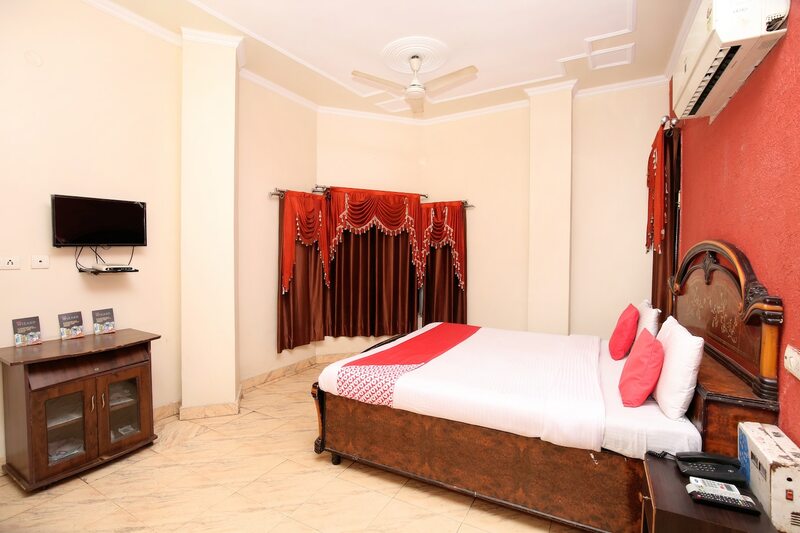 The rooms have royal ambience with beautiful curtains and bright painted walls. These rooms are well-furnished with all essential amenities that are convenient and suitable for all types of guests. They are immaculate, very spacious and brightly lit. The bathrooms are spotless and well-maintained along with a geyser for when the weather gets chilly. The hotel also has other facilities like seating area, free Wi-Fi and CCTV cameras.